The vintage is well underway in Gisborne. Fortunately, due to good vineyard management and a little luck, we have timed our grape picking in between the patches of wet weather. We still have some Chardonnay, Viognier and Gewurztraminer hanging out on the vines. Grape harvest started early for us on Valentine’s Day, with the harvest of the Wrights Chardonnay Verjuice 2011. The Verjuice is already bottled and awaiting labels and will hit the market shortly. The new release Verjuice, due to customer demand, is in 750ml bottles. 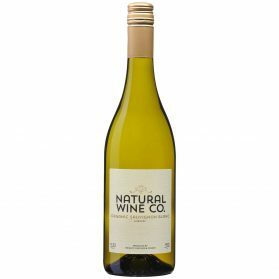 Great as a non-alcoholic spritzer, lemon or vinegar replacement or cocktail mixer! Bring to boil, simmer for 6 minutes. Allow to cool and freeze overnight. Yum! For those with a sweeter tooth. The lemon can be replaced with mandarin or orange. It has been a crazy month for us – aren’t they all. Last week the filming of our programme on country calendar was completed. We are very excited to have this opportunity to showcase our vineyard and winery to the nation – let’s hope we don;t come across as too crazy. This week we were fortunate enough to have Allyson Gofton and her team visit our vineyard to cook up a storm in our kitchen for her upcoming cookbook. Luckily, Allyson is used to studio kitchen’s, as we were cooking in our 9 metre by 3 metre port-a-com (rent a shack), which we have onsite while building our strawbale home. It is amazing what you can make do with and that you can fit 2 kids, 4 goldfish and 2 adults inside. Geoff is also hoping to add a kitten to the mix shortly – let chaos reign! Allyson particular enjoyed the company of her sous chefs – Noah (3 ½ years’ old) and Elijah (16 months’). Although Elijah and Noah seemed to be drawn in more by the puddles and mud around the vineyard – than the kitchen. For the first time we had our cellar door open this summer. It has been a busy time with limousines, bike tours, 50 seater tour buses, wine tours and the general public. It has been a great opportunity to showcase our wines and show people our vineyard and winery. People seemed to have enjoyed the use of kiwi ingenuity, which is strongly present in our winery. Shipping containers converted into tank and barrel rooms. Converted beer tanks as wine tanks. The cellar door visitors have also been a great hit with Noah, who has kidnapped many showed them his swing, our housesite and dirt piles – all of which hold great fascination for a 3 ½ year old. We have also incorporated tastings of our verjuice spritzers, dukkah and olive oil, which has been very well received. We continue to operate our cellar door at the weekends, 1.30pm to 4.30pm. 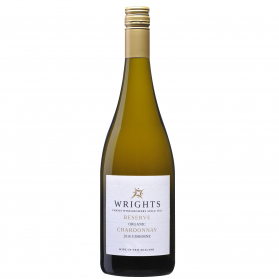 Currently, we have most of our stunning wine range available: Wrights Methode Traditionnelle 2009, Wrights Sauvignon Blanc Semillon 2010, Wrights Chardonnay 2010, Wrights Reserve Chardonnay 2010, Wrights Viognier 2010, Wrights Gewurtraminer 2010 and Wrights Rose (Merlot/Syrah) 2010. 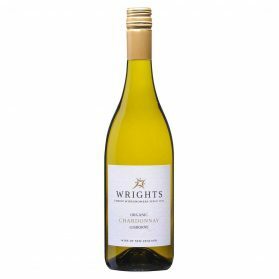 Our Wrights Methode Traditionnelle 2009 is in short supply and our Wrights Sauvignon Blanc Semillon 2010 is going out like hot cakes. Be in quick! To date, the harvest has yielded some lovely ripe Gewurztraminer. Again, we have achieved overnight skin contact om the press and look forward to another distinctive, varietal wine. We have left some of the Gewurztraminer hanging out to gain some even riper grapes and encourage botrytis. Best to make the most of nature’s challenges when they present themselves, rather than stressing about the rain. 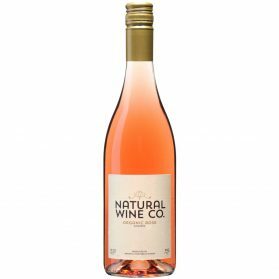 The wet, warm northerlies forecast by the weather gurus should favour this wine style – very exciting. Once again, we are blown away by the cleanliness of the grapes in our vineyards. 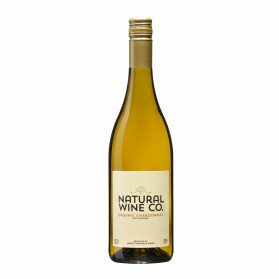 Organics and biodynamics and working with nature is really working well, producing high quality grapes, which can only mean high quality, pure wines on your table. We will keep you posted with the exciting wine styles we are making this year. In the meantime, take care and we may see you over the year around the country, as we plan to show the kids New Zealand and visit as many wine clubs and our wine retailers as possible.